The step widgets are ordered retrospectively so in the low right there is the first widget with original captured image of sourc0. Individual widgets can be narrowed and there is info text available for each of them. 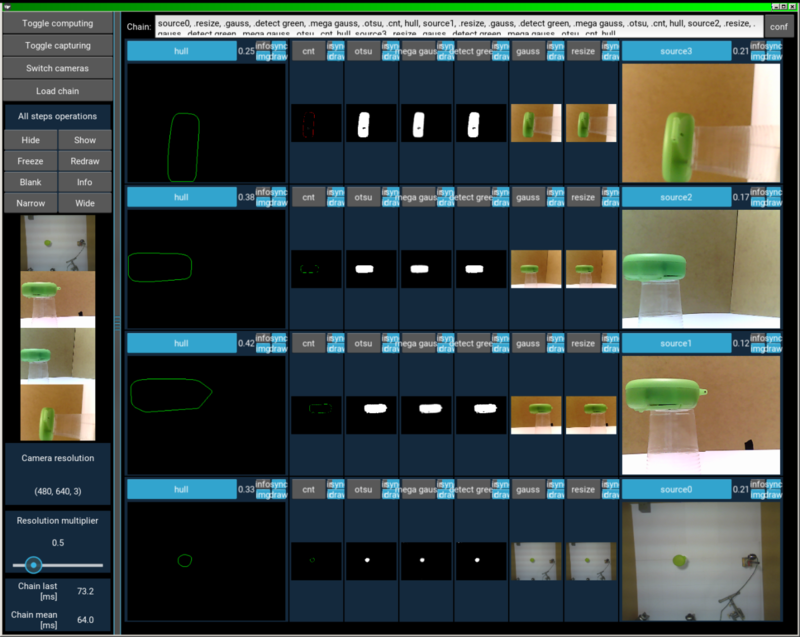 For example on the source widget there is a resolution of the captured image, in the contour find step there is number of contours found. In this video I show a little older version of IPAV. I will create Otsu thresholding chain, and later sobel horizontal edge filter which shows how the IPAV displays float not only positive images. The video was created in ActivePresenter btw. As I said the program is written in Python 3.4 with Kivy GUI library and OpenCV 3.0 python wrappers. 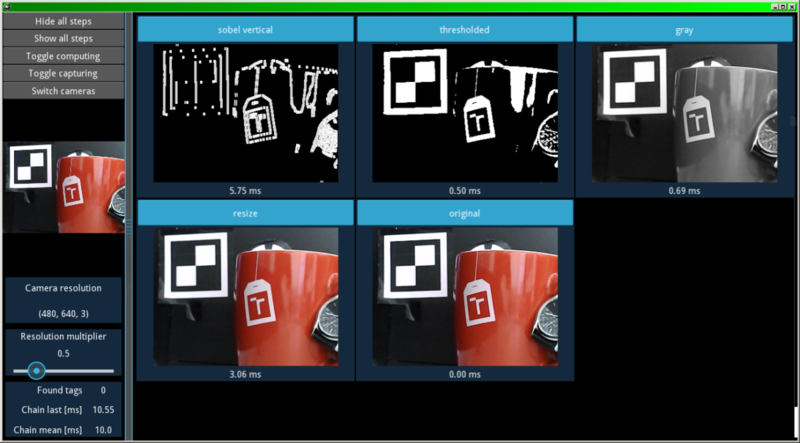 Its multithreaded (thread 0 = GUI, thread 1 = image capturing, thread 2 = image processing). I have written a small article about the program for a school „conference“ EEICT this year. It is sitting on pages 431-435. Příspěvek byl publikován v rubrice app, git, GUI, kivy, OpenCV, pcvision, project, Python se štítky ActivePresenter, computer vision, image processing, kivy, OpenCV, project, python a jeho autorem je admin. Můžete si jeho odkaz uložit mezi své oblíbené záložky nebo ho sdílet s přáteli.